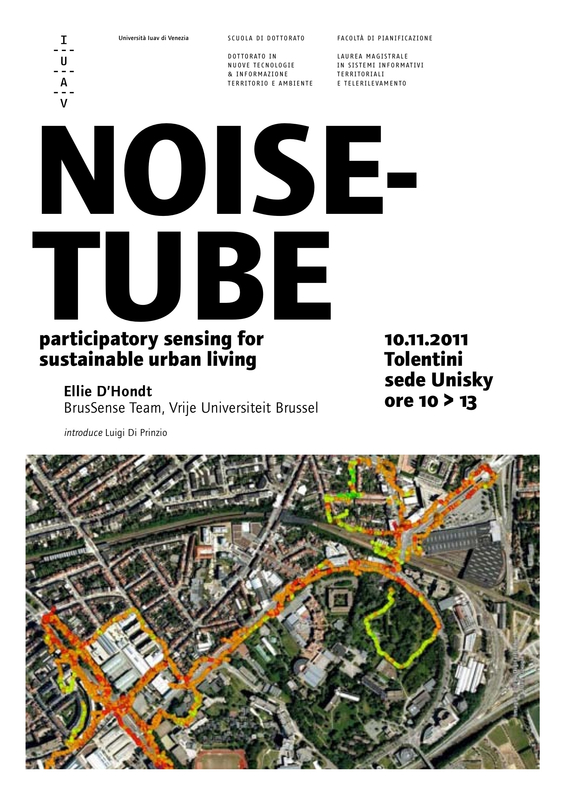 Within the BrusSense research team we are investigating how we can use participatory sensing to manage pollution in our common environment, the atmosphere. Participatory sensing appropriates everiday mobile devices such as cellular phones to form inteactive, participatory wireless sensor networks that enable public and professional users to gather, analyse and share local knowledge. In this talk I will explain how to develop and apply this technique for urban noise mapping. Creating pollution maps through participatory sensing constitutes a new, scalable approach almost orthogonal to the current governamental and EU-regulated techniques for pollution mapping, which rely on simulation models. In our setting sound levels are measured on mobile phones through the NoiseTube application, which also arranges geo-temporal tagging of data. Measurements are gathered and visualised at the project's website, which interfaces with Google Maps to represent the paths that users walked, colour coding for sound levels measured. While NoiseTube has been used for some time by inividual users, it is unclear how measuring campaigns should be set up, how this collectively gathered data could be distilled into a single noise map, and what the quality of these maps would be. I wll explain the experiments we set up in Antwerp and Brussels to investigate these issues and discuss our preliminary findings. To our knowledge this is the first experiment of this kind (one street segment has been mapped before, however, we map areas of up to 1 kmq). 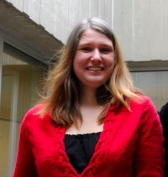 Dr. Ellie D'Hondt is a post-doctoral researcher at the VUB's Computer Science department. She holds degrees in Physics, Computer Science and Mathematics from the VUB and has a keen interest in multidisciplinary research. After a chapter in quantum computing, she has recently decided to align her research with the worldwide sustainability effort, in particular focusing on participatory sensing techniques for mapping pollution in the environment. Angelo Camporese, dopo aver frequentato un corso di Sound Engineer, entra nel mondo professionale Live, prima come Backliner (gestione strumenti musicali) poi come Sound e Monitor Engineer, P.A. System Manager. Si specializza nei Grandi sistemi Audio e diviene poi Sound Coordinator in eventi che, per dimensioni, richiedono una figura che coordini e agevoli il lavoro di Sound e Monitor Engineer, P.A. System Manager, Backliner e Musicisti, nonché l'interfacciamento con la Produzione Esecutiva.